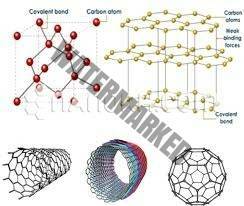 Elements specializes in producing high-puritySilicon Nanowires via chemical vapor deposition (CVD) on silicon wafers using gold as a catalyst. 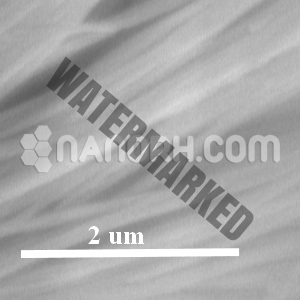 Silicon nanowires are available in single side and double side coated forms; we can also produce nanowires to custom specifications and in bulk quantites. 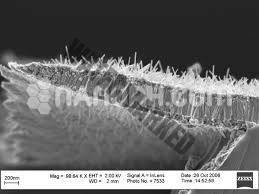 Elements specializes in producing high-puritySilicon Nanowires via chemical vapor deposition (CVD) on silicon wafers using gold as a catalyst. 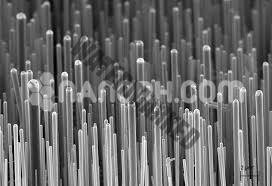 Silicon nanowires are available in single side and double side coated forms; we can also produce nanowires to custom specifications and in bulk quantites. 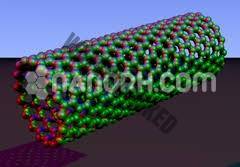 The unique thermal and chemical properties of silicon nanowires make them ideal materials for numerous electrical and optical applications, photovoltaics, sensors, transitors, piezoelectric generators, and energy storage technologies.